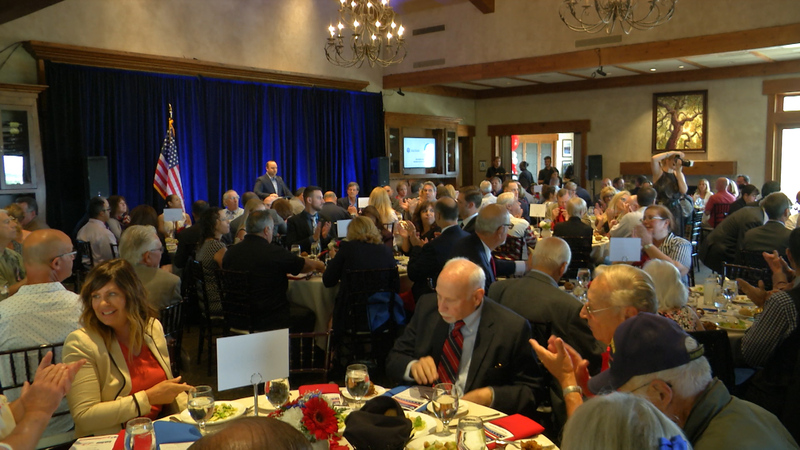 In partnership with the City of Santa Clarita, the SCV Chamber hosted its 8th annual Patriots Luncheon on Thursday, July 12 at The Oaks Club in Valencia. The Chamber wishes to thank its sponsors, including co-title sponsors Homes4Famillies and Andy Gump. Sponsors include Chiquita Canyon, Princess Cruises, Poole & Shaffery, Dignity, AAA Property Services, College of the Canyons and Southern California Edison.